I have recently had the opportunity to pursue updating my home. What I’ve learned, and continue to learn, regardless of whether I am doing the work personally or a general contractor is involved, is that a lot of trial & error is involved. In order to update my home, I needed to achieve a balance between updating as much as possible while keeping costs as low as possible. As I am only a novice handyman, I quickly determined that the upgrades desired were beyond my skill set. Key aspects to consider were how much updating to do, and what level of quality would be achievable given my lean budget. Establishing a strategy for upgrades and doing some of the work yourself can help build savings into your home renovations plan. One approach to home updates includes determining the renovation needs and the speed of project turnaround. What are you trying to accomplish with your renovations? Are you the benefactor, or are you making improvements to sell or rent the home? This piece of the equation will help you determine whether you want the best updates available to the home, or if you are just trying to get by. Also, what is the turnaround time needed for the renovations? Are you looking to get the house on the market quickly? Or, are the updates part of your annual house project, to be finished over the course of a season? Project completion speed needs will also determine cost. If you are not in a hurry, then you may be able to cut costs. Determining what I refer to as “needs within needs” on a home update project can also affect your costs. 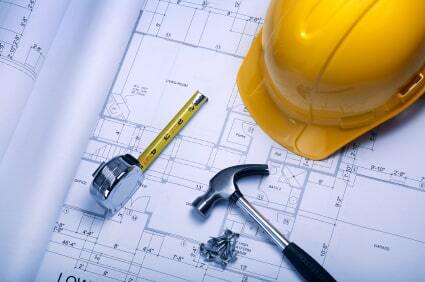 During the course of my home renovation project process, I received regular calls from the General Contractor. These calls communicated a wide range of topics on the decision tree: moving large appliances, paint color critiques, additional parts needed to complete a project properly, house code explanations necessitating even more parts, and unexpected discovery reports. Generally, these questions are attached to your further and/or additional financing of the project or projects. Essentially, besides bringing the house up to code or necessary parts to make it all function properly, the vast majority of these questions will all pertain to how much you want to do to upgrade the home and how much you want to spend. Utilizing materials already on hand is one way to determine your upgrades in the “needs within needs” scenario. For example, one of the upgrades for my home was kitchen flooring. On a suggestion from a friend years ago, I had bought peel & stick tiles for the kitchen. Due to other projects, these tiles were never installed. Since I am preparing my house to rent, and anticipate that I will at some point need to repair the kitchen floor due to normal wear & tear by tenants, it was an easy decision to make use of the materials already purchased instead of buying additional flooring. You will need to determine how much you want to spend on the project within the project – the “needs within needs” – of completing home upgrades. Developing a strategy regarding your home upgrades will help you establish a baseline for your decisions along the way. Determining how fast the work needs to be completed, reviewing the needs as the upgrades are being done, and making use of already-available materials can help you make those decisions, and help reduce costs as much as possible. Having knowledge on current building codes will also help you make the best decisions possible in completing the work properly, whether you or someone else will be benefiting from the renovations.